The wait is over. Lengthy loading has been eliminated thanks to the new infrastructure of TruVoice. 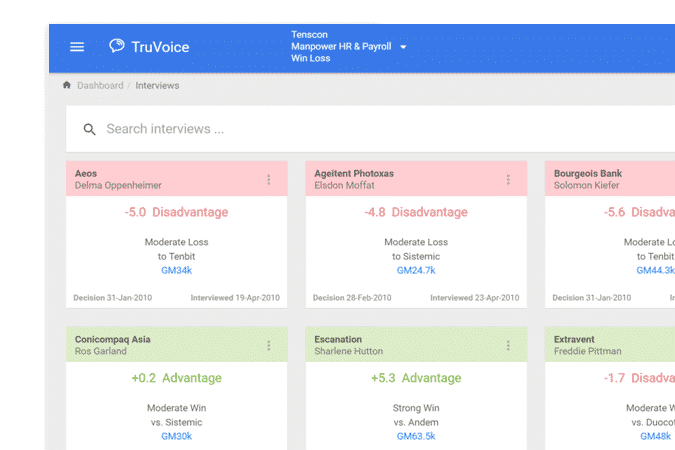 TruVoice has been completely rebuilt on a new platform for dramatically faster speeds… delivering your insights, trends and data more quickly! With a completely new architecture, TruVoice will now keep up with your demanding schedule. Spend less time waiting and more time doing! 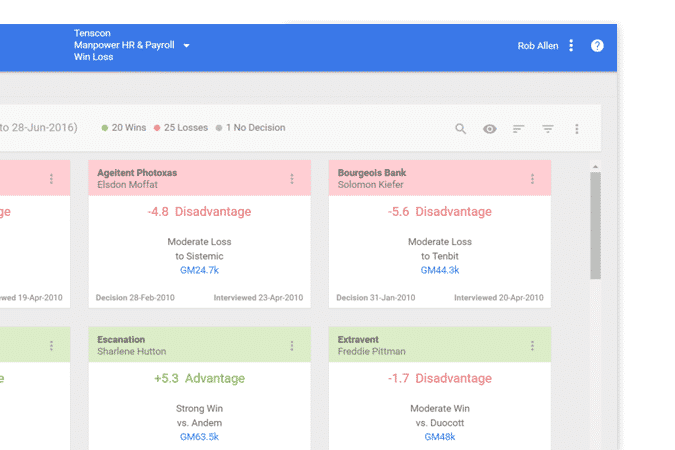 It’s easier to get the intelligence you need—streamlined interface and fast performance eliminates effort and makes accessing intelligence easier. 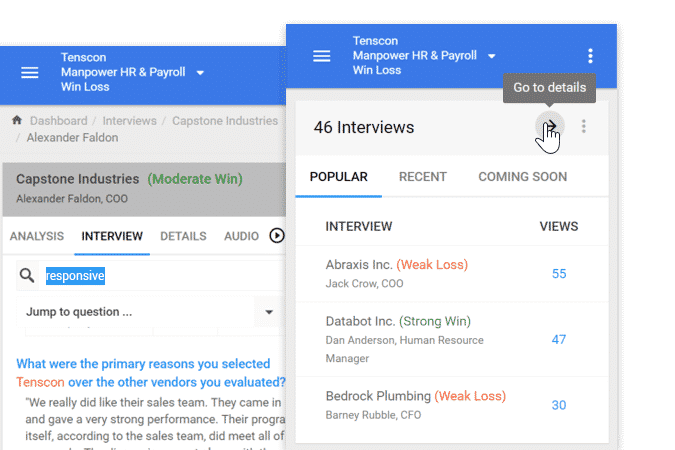 Search across your interview and find insights in seconds. You say, “Go!” and TruVoice is on it! Click your way through to the nuggets of intelligence you need. 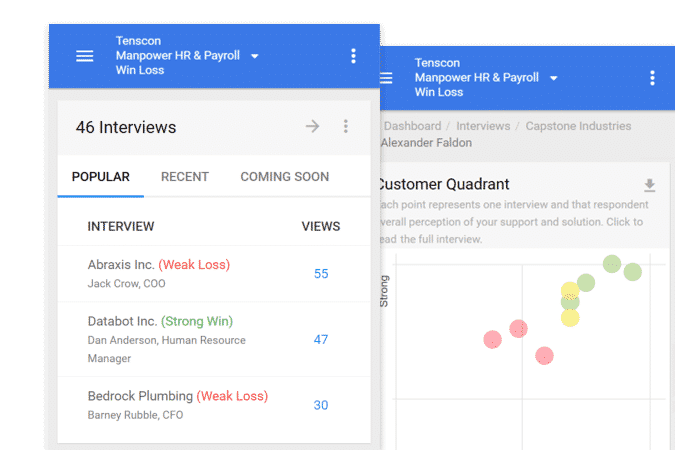 Every drop down and tile has the ability to “go” to more details, reveal more pertinent intelligence and to do so much more quickly.